Canada is one of the most geographically diverse nations of the world. It is because of the huge land area that it has. Canada is the fourth largest country of the world by land. The terrain is plain, rough and mountainous. It makes Canada a country that has huge species and classes of snakes. 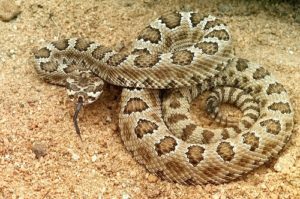 There are many venomous snakes in the country besides some non-venomous classes as well. It is very important for the remote Canadians to make sure that they get complete knowledge how to distinguish a venomous snake. They can make their homes safe and secure if the guidelines are followed. But to follow the guidelines one should know the venomous snakes of Canada. The biological name of this snake is Crotalusoreganus. It is one of the securest species that are in country and are the least concern about the extinction phase through which many other species are passing currently. It is a pit viper snake and the name is given because of the pits that surround the head of this reptile. 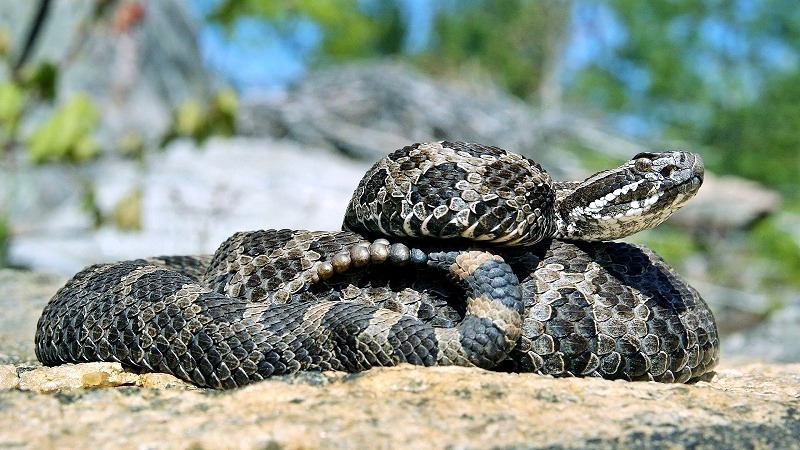 It is one of the most venomous snakes in Canada. Sometimes it is difficult to distinguish this reptile from others due to stunted growth. It means that the growth of some of the population of this snake is no full as it should be. 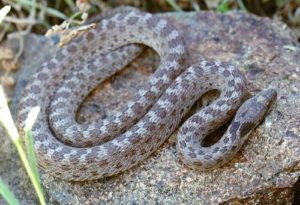 The general size of the healthy snakes of this kind can reach to over 100 cm. 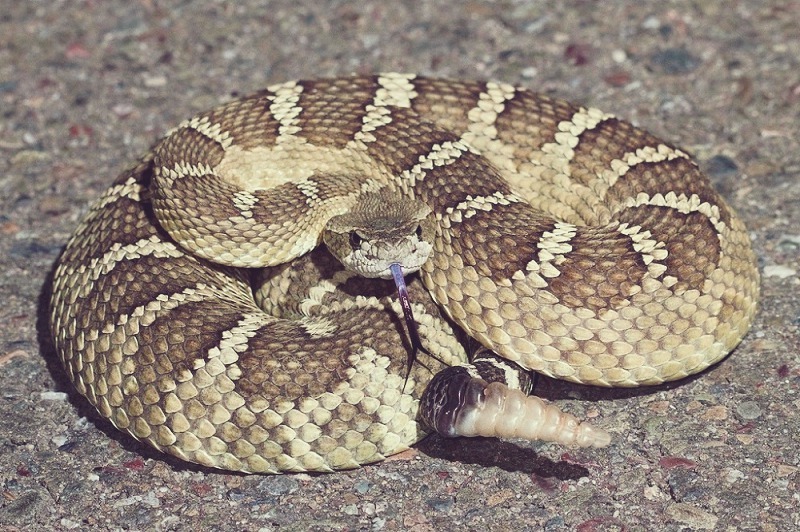 The biological name of this reptile is Sistruruscatenatus and it belongs to the class of rattlesnake. In Canada, the province of Ontario is the main province that has this reptile. This reptile is the least concern about the extinction as the population is large and healthy. Both the adult males and females are not as large as compared to the other snake classes. The common size of Sistruruscatenatus is about 60 cm and some snakes of this class can reach up to 100 cm. They are mostly gray and can easily be distinguished from the scales on the skin. They appear dark gray and even black sometimes. The population of Sistruruscatenatus is highly scattered and diversified within Ontario. Also known as Hypsiglenachlorophaea the snake is highly venomous and has rear fangs that are connected with the poison glands. The snakes are widely distributed in Canada and it is all because of the fact that it has 17 sub-classes. The diversity of the snake makes it difficult to judge as some are non-venomousbut about 95% of times they are. They are highly toxic and encounter can be fatal if provoked. The other name of this reptile is Crotalusviridis and as the name shows it belongs to the class of rattlesnakes. The maximum length of the snake can be up to 1.6 meters. The coiling, vibrating and rattling are the main actions which they use to defend themselves when provoked. 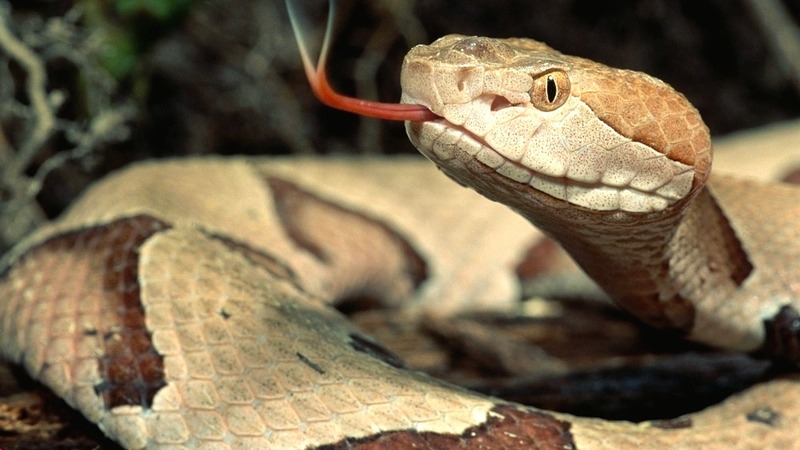 It is highly advised not to come close to this snake as the venom can cause internal bleeding and the victim might not have enough time to reach the medical facility.